"I'm Monmouth County family law attorney Steve Kaplan. 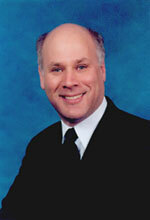 Since 1987, I have successfully helped many people in Monmouth County on both sides of restraining order cases. About 50% of the time I represent the person accused of the offense who is trying to undo a temporary restraining order and prevent it from becoming a final restraining order. In the other 50% of cases I am hired to represent the person who is the victim and who is usually looking to obtain a temporary restraining order and then have it converted into a permanent restraining order. As a matrimonial lawyer with 29 years of experience both prosecuting restraining orders on behalf of the victim and defending against restraining orders by the accused person, I can help you succeed with your restraining order case, too, regardless of which side of the restraining order you happen to be on. I would be happy to meet with you personally to discuss your particular situation in detail, and to map out a strategy for successfully dealing with your particular domestic violence related situation. Restraining orders are signed by Judges in NJ 24/7. Because these cases often happen quickly and with little or no notice, I remain available for new client emergency restraining order cases before office hours, after office hours, and on weekends and holidays. If you need help either fighting off a restraining order or fighting to obtain one or to make your temporary one permanent, call me at (732) 845-9010. If I am available, I will pick up the phone personally for a few minutes to speak with you. When you are ready to discuss your case confidentially, carefully, and completely, I will be there for you personally.